When Are Fruit Drinks Ineligible for CRV? One hundred percent fruit juice containers that are larger than 46 oz cannot be redeemed for CRV. 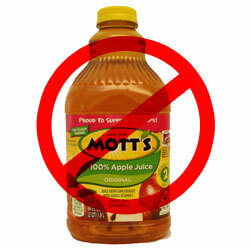 Even if a fruit drink is more than 46 oz, it is eligible for CRV as long as it’s not made from 100 percent fruit juice. 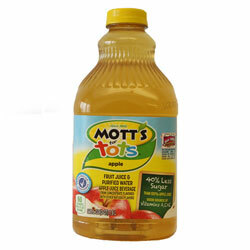 For example, a 64 oz container of Mott’s for Tots is eligible for CRV.